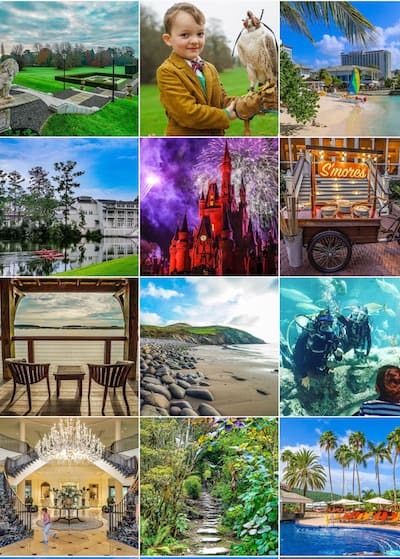 Disney offers several events requiring a premium ticket or fee. 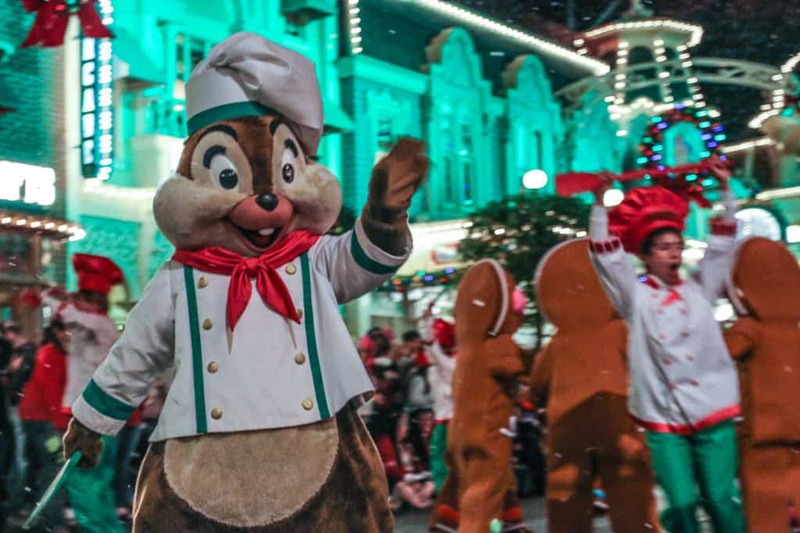 Read why Mickey’s Very Merry Christmas Party is our favorite and enjoy some of my favorite Disney parks photos. 1. The Crowds haven’t yet descended upon Orlando. 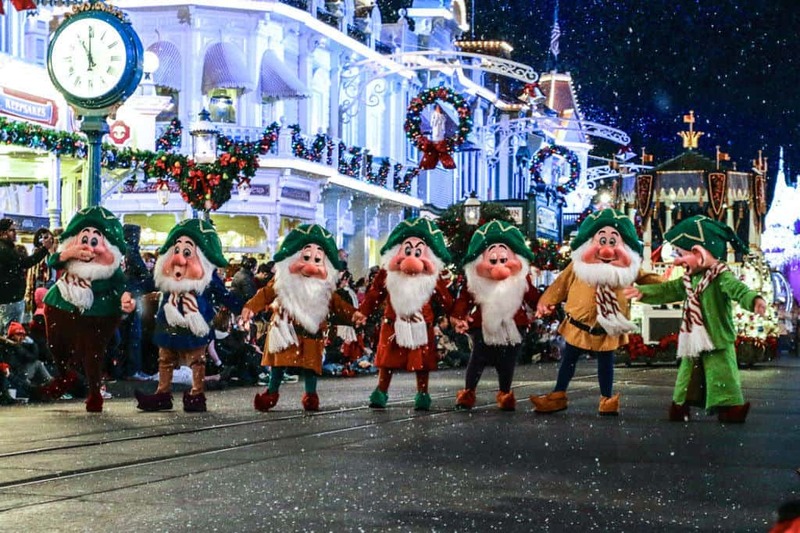 The Mickey’s Very Merry Christmas parties begin at the beginning of November and run through until the the Christmas holiday approximately four nights each week at the Magic Kingdom, with the last party typically around December 19th. Early December has long been a great time to visit the Disney parks with fewer crowds after the Thanksgiving holiday. 2. Who doesn’t love holiday decorations? 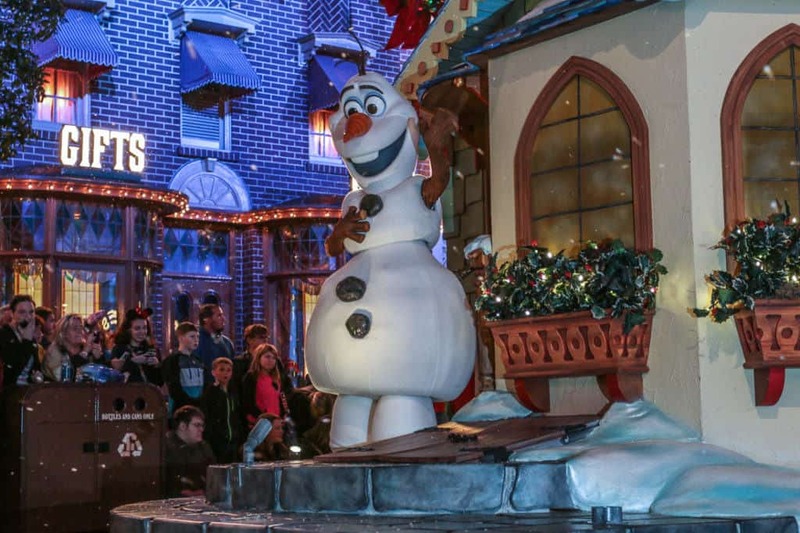 Every fan of Disney World should see it at the holidays at least once. While the park decorations go up on November 1st, the resorts are typically not decorated until the week before Thanksgiving. It is an enjoyable day visiting as many of the deluxe resorts as possible to observe how each resort theme is represented in the decorations. 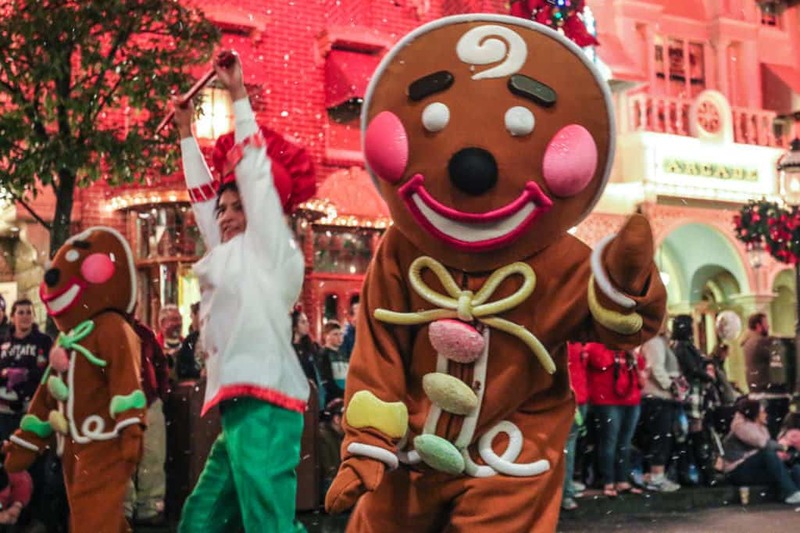 For those who enjoy celebrating Halloween and Christmas, some Disney regulars enjoy visiting for Mickey’s Not So Scary Halloween party and enjoy the overnight holiday makeover that occurs on October 31st after the parks close. 3. The ticket price is perfect for a long weekend trip. 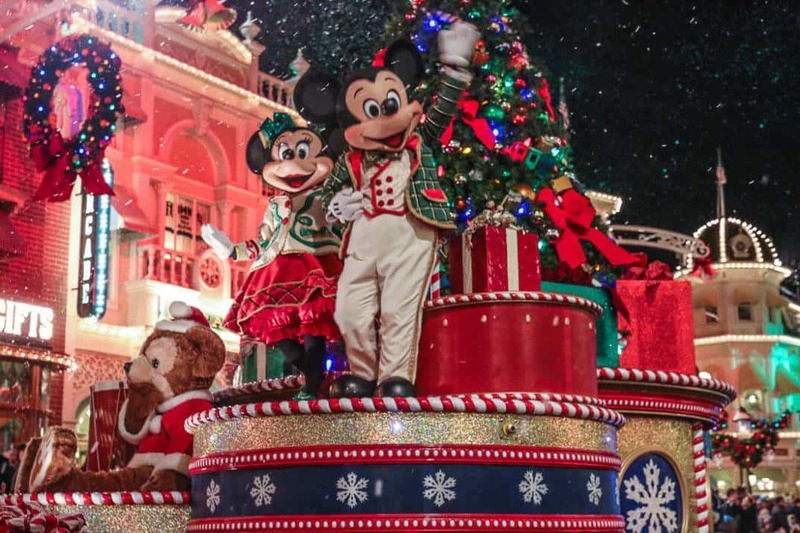 With the Mickey Christmas party, exploring the resort’s decorations, and shopping at Disney Springs, a long weekend trip is already full without the need to purchase additional park tickets. 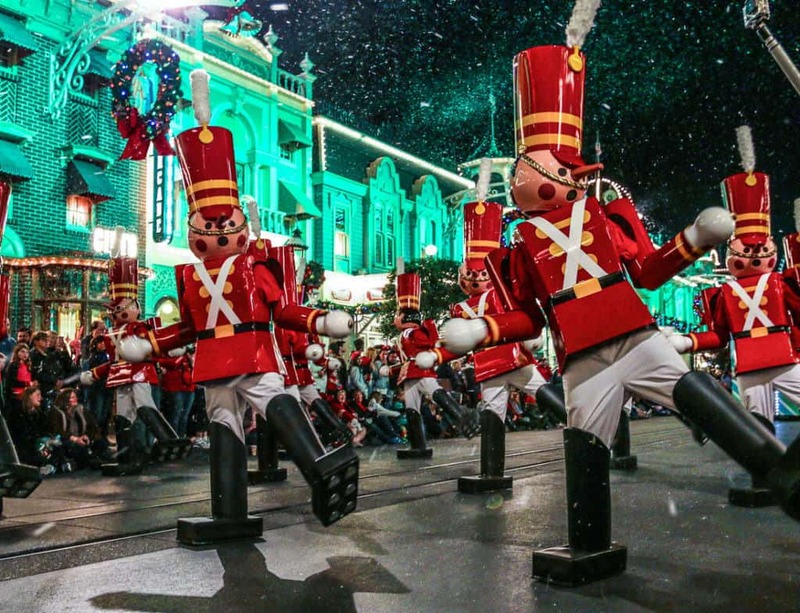 Mickey’s Merry Christmas tickets run around $90, and ticket holders have access to Magic Kingdom by 4pm, though we are always let in a few minutes earlier. I recommend getting in the lines by 3:30. Those visiting Magic Kingdom who do not wear the party’s wristbands are escorted to the exits at 7 p.m. and are no longer allowed on rides. One cannot book dinner reservations during the party, as many convert to the stations where guests can get free cookies and hot chocolate. These are nothing to get excited about. 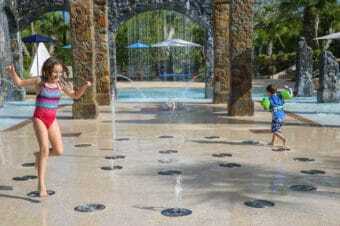 Some of the quick service restaurants remain open, but it is recommended to have a larger lunch at 2 or 3 p.m. so that a light dinner works for your family, and it makes sense to dine at one of the monorail resorts beforehand. We booked a 2:30 pm tea at the Grand Floridian that day and caught the monorail easily to Magic Kingdom to queue with ease. 5. The parade is great, and I don’t love a parade. 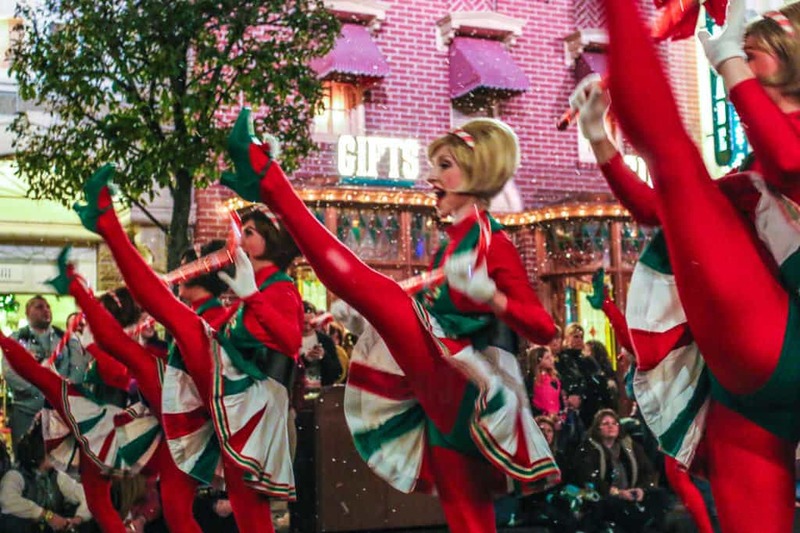 I confess that I don’t love the parades or shows at Magic Kingdom very much, but the holiday parade is an exception. The Christmas decorations and cheery music that are otherwise too saccharine really work in this context. It is a great time on Main Street USA. 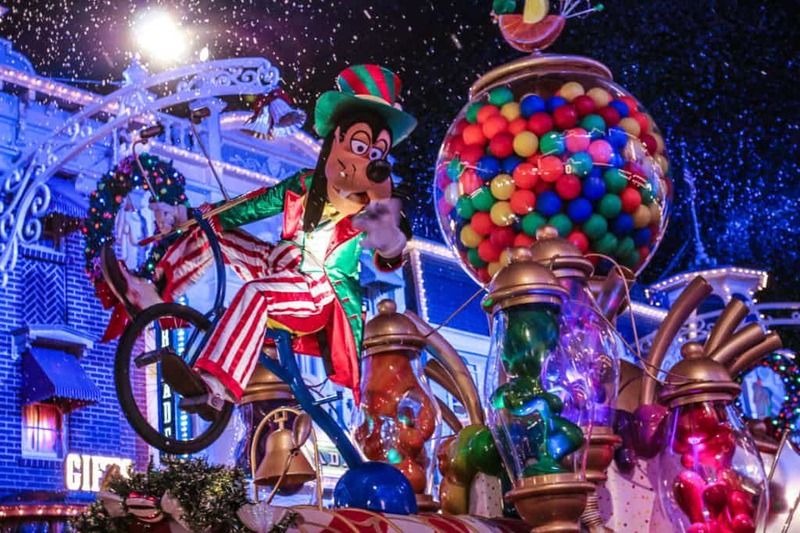 There are two parades, an 8 p.m. and a 10 p.m., but it’s worth it to skip the first one and continue riding rides and watch the second parade. 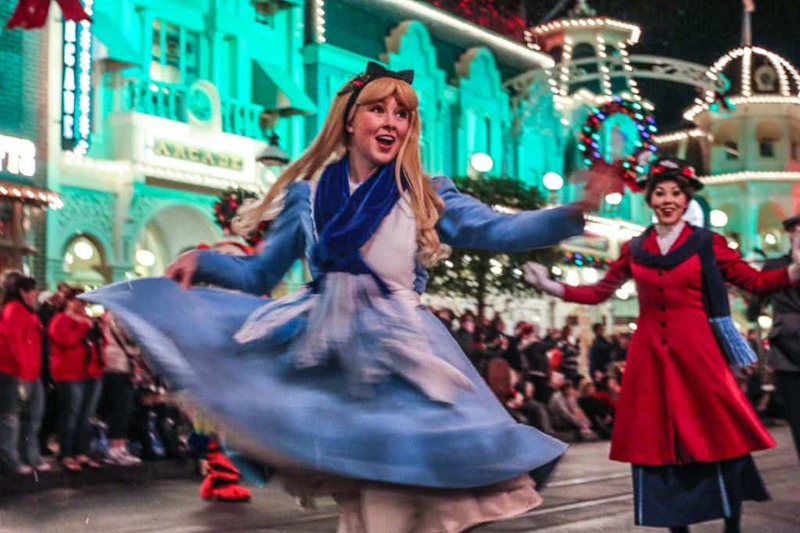 Characters who make rare appearances at the parks appear for this special show, so that gives the parade an extra special feel. 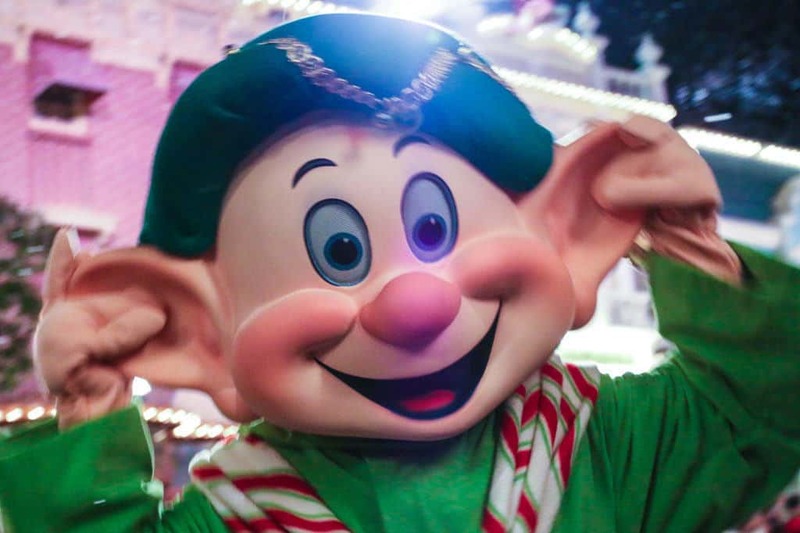 Although many of these characters have meet and greets during the party hours, that activity is reserved for the Disney die-hards. 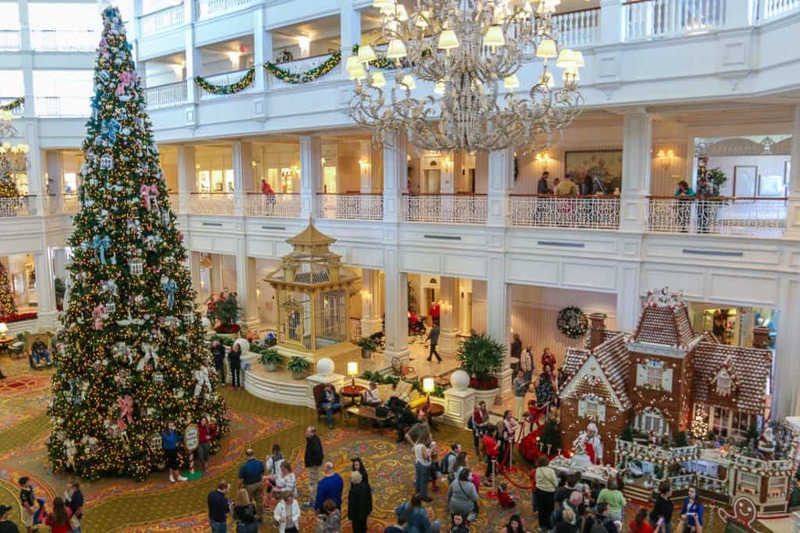 The Grand Floridian lobby becomes a crowded attraction during the holidays, so it is a better choice at a different time of year. If you insist on staying on site, many Disney fans claim the Wilderness Lodge (check your dates for rates) offers a perfect holiday atmosphere that works so well with the resort theme of lodges near the National Parks. It offers access to Magic Kingdom by boat. One resort to skip at Christmas time as an overnight guest is the Grand Floridian. It’s massive gingerbread house pop-up store is worth seeing, but it will feel like a Walmart on Black Friday instead of the typically elegant haven it is. 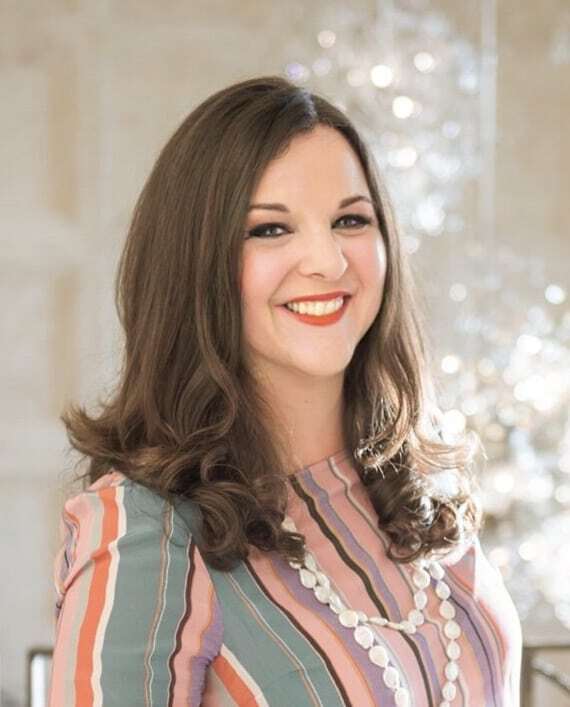 The Waldorf Astoria Orlando offers several holiday events during the December weekends, including visits with Santa, afternoon teas, and champagne and chocolate bars. Although the resort offers scheduled bus service to the Transportation Center, I find it is worth it to just take an uber to the parks. Check your dates for rates. 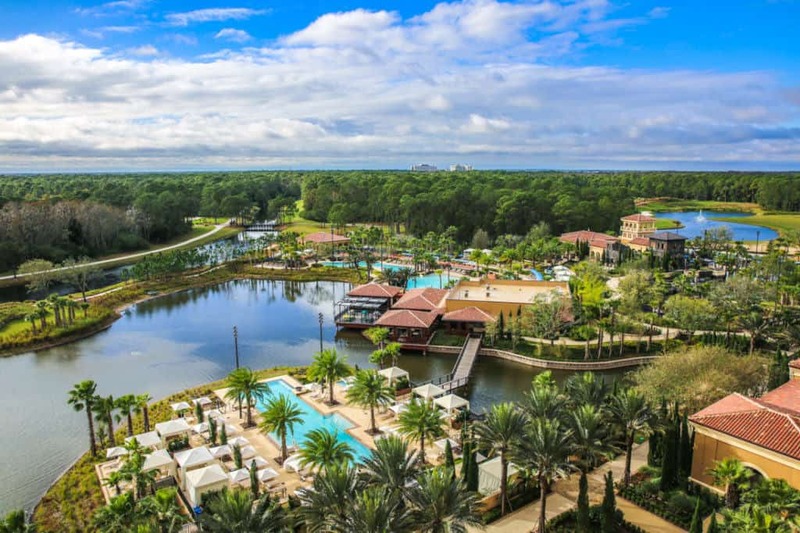 The ultimate resort choice is the Four Seasons Orlando, though the weather may make its greatest asset, the incredible pool complex, obsolete if the weather becomes unseasonably cool. 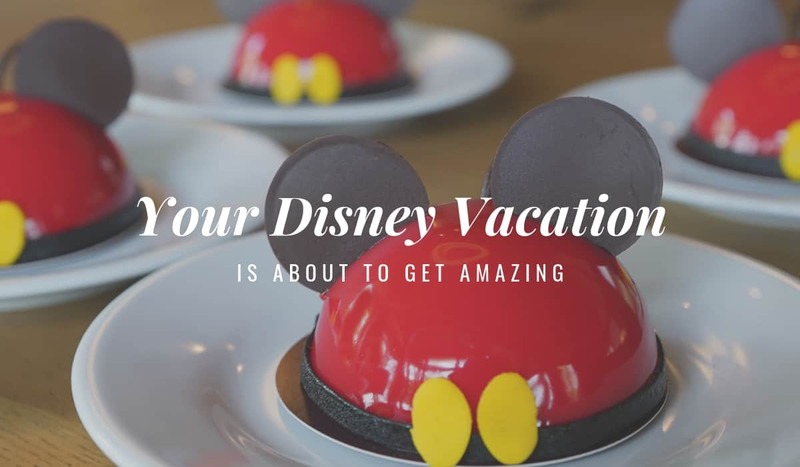 The Four Seasons is worth a visit to attend the Breakfast with Goofy on select mornings because their boutiques offer an excellent selection of merchandise for the most luxe Disney fans you won’t find anywhere else. Check your dates for rates. 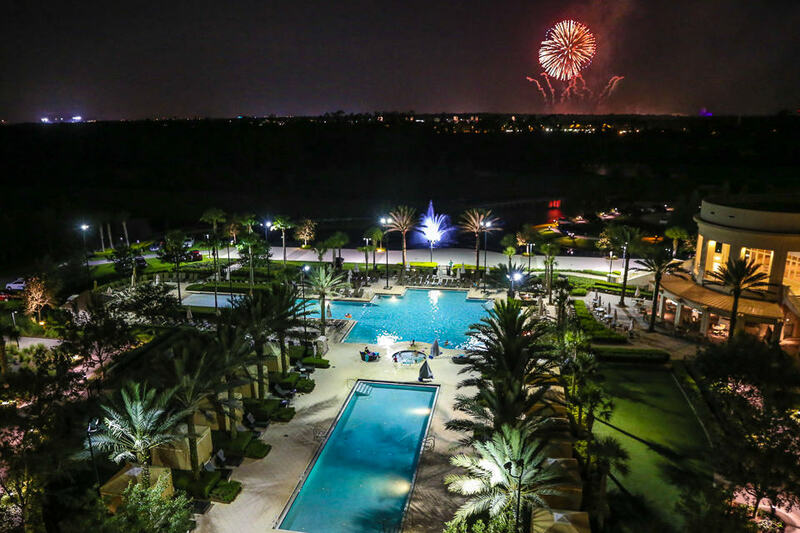 Four Seasons Orlando balconies of their park-facing and sunset-facing rooms. And just a few more parade shots because it was so much fun! 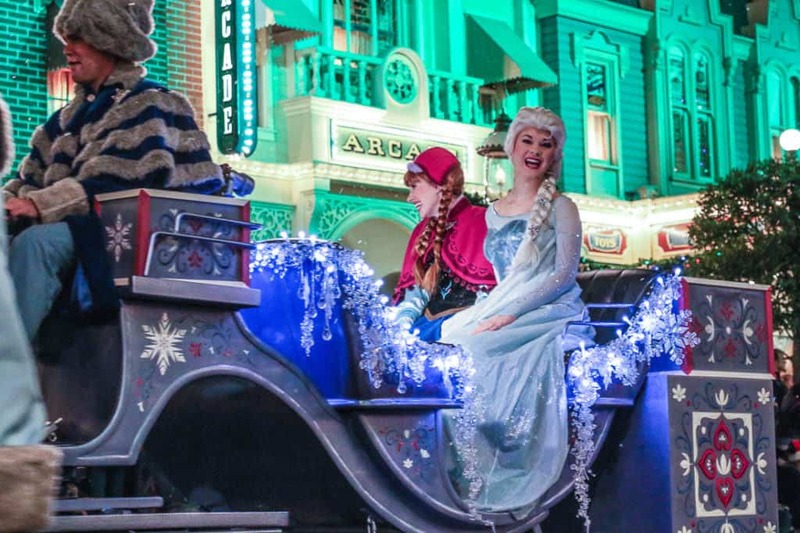 If you head to Disney World during the Christmas vacation with all of the massive crowds, consider booking the Disney VIP Tours. We’ve written a guide on their cost, perks, and different types of companies to hire. 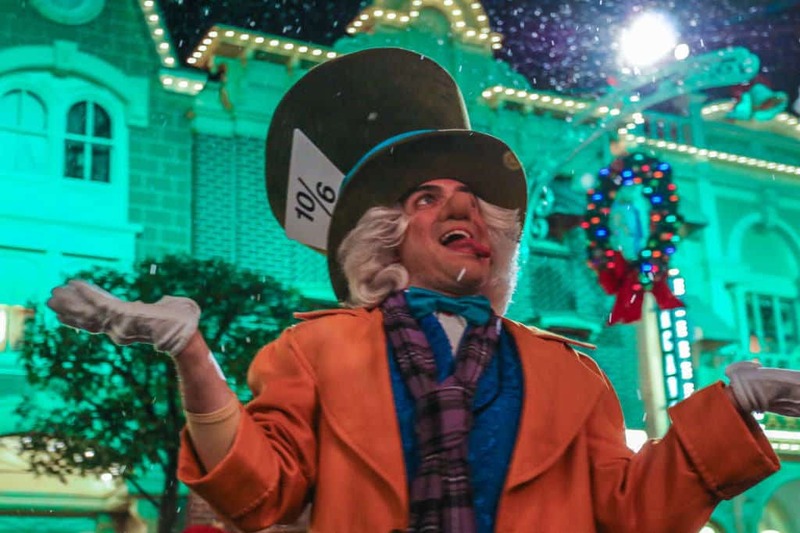 Check out this guide to celebrate the holidays at Disneyland instead. I completely agree with this! Also, if you are staying three days or less it’s actually a money saver to swap one day of park tickets for a party ticket.